Transform Your Venue Into Something Magical! 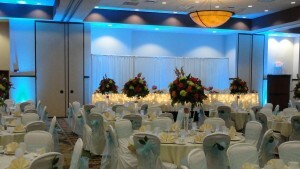 Uplighting is no doubt the single most visually powerful lighting technique Over The Top Entertainment can add to your venue to make your event extraordinary. Uplighting can transform the atmosphere in any room, enhancing both the feel and the architectural detail that may already be present. You can use uplighting to enhance the whole reception and bring life to the entire room or just pick certain areas to focus on. If you are thinking of adding spice and a personal touch to your Wisconsin wedding reception, do not forget to add color. Bring some flare in with colored uplighting to match your theme color and you will see how it changes the mood of your BIG day! All of our lighting packages are capable of being programmed to your specific wedding colors, giving us total creative control over how our lighting enhances and blends with your wedding reception theme and venue architecture. We have several packages to choose from so make sure to pick the one that best fits your needs. 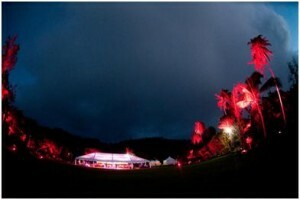 Make sure you check out our Gobo Special Effect Light. 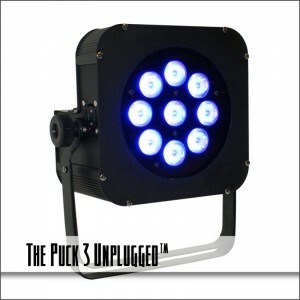 Great addition to any Uplighting rental package! **The pricing listed is all for any static color of your choice. Which means- you pick a color (or multiple colors) and the light fixtures stay that color(s) throughout the night. If you would like the lights to “dance” to the music or flow from one color to the next throughout the night add a $150 labor charge to any of the package prices. This is needed for the extra programming and controller needed to make those effects happen. Over The Top Entertainment now has wireless capability! No more power cables or dmx cables to setup; no more hassles your decorative lighting possibilities are endless!! 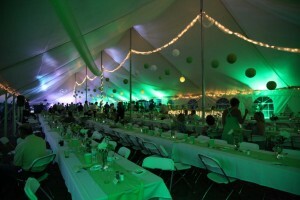 We invite you to contact us for more information regarding our event lighting services. We would love the opportunity to show you how passion, expertise, and industry leading technology can come together to create simply OVER THE TOP results!